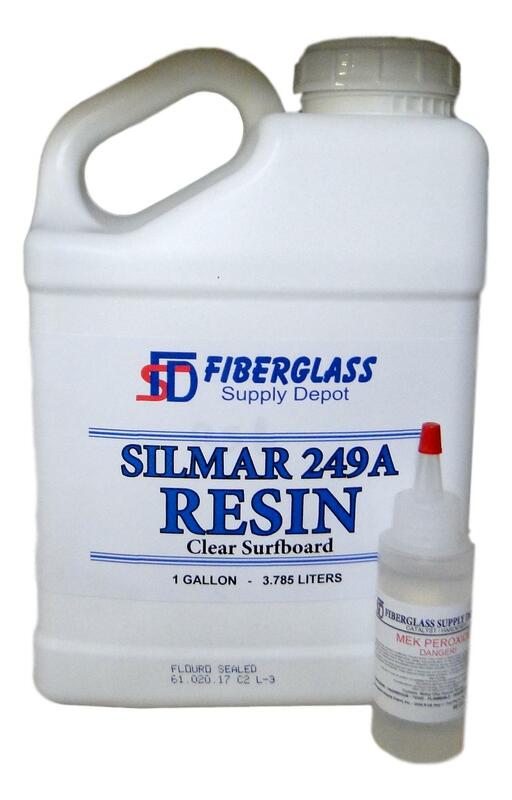 Silmar 249A is a resin used in surfboard building. It is a low viscosity resin generally used for laminating cloth to build a surfboard. This resin requires wax for the final coat to be able to buff and polish the board. This last coat is what is called the hot coat. This resin is blue in color but dries to a clear hard durable finish. Tack free additive sold separately. Recommended you add hardener at 1% or 10cc per quart. This gives you approximately 20 minutes of working time. The 15cc is enough hardener for a quart at 2%.